After a short look at the game’s intro, where Lara’s bi-plane does Lost and splits in half while crashing into the jungle, leaving her friend Jonah separated from her, Eidos Montreal developers spoke about the game’s actual gameplay, with a short demo. Here, Lara relied on stealth while cloaked in darkness in the middle of the jungle to take out a group of (presumably Trinity-related) enemies. While observing her enemies from afar in the tree branches, Lara poisoned one enemy to fire upon his friends, before picking off the rest with stealth takedowns and her arrows. As she advanced, Lara improvised takedowns around corners and cover, as well as using improvised crafted molotov cocktails. 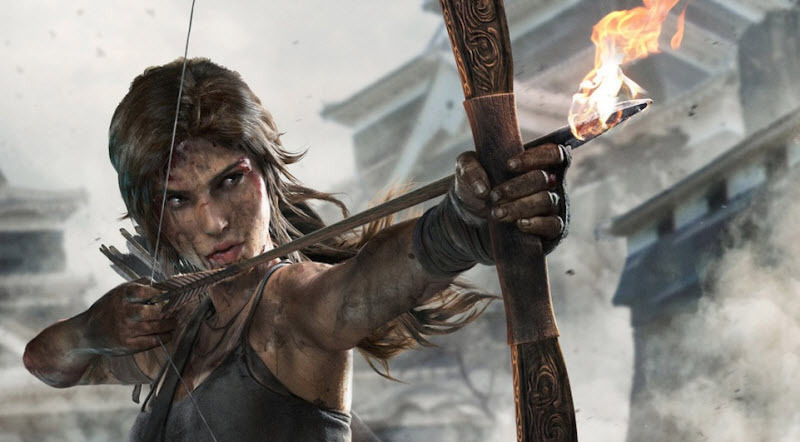 The developers also spoke about further gameplay improvements, including new traversal mechanics like grappling and wall running, and 360-degree underwater swimming as in older Tomb Raider titles. Check out the gameplay below, courtesy of Gamespot.